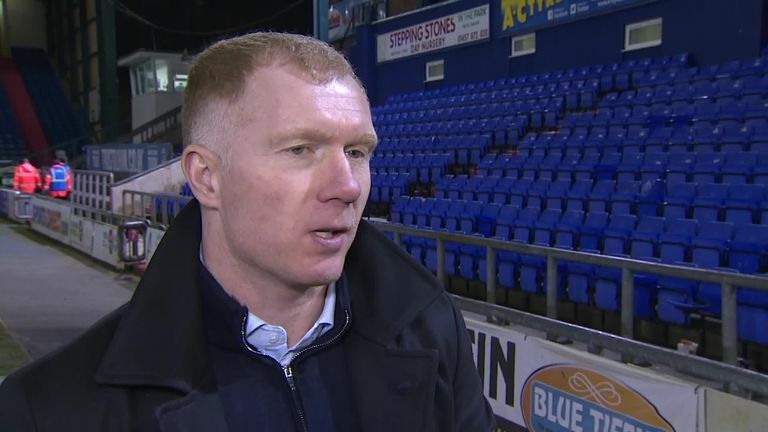 New Oldham manager Paul Scholes was relieved to get his career in the dugout up and running with a win. 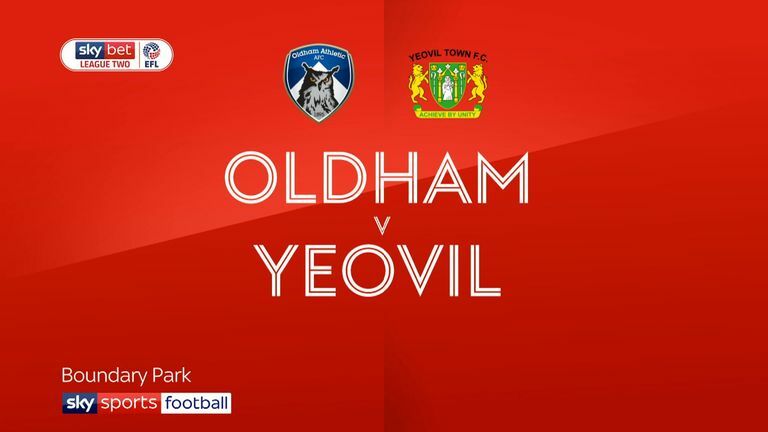 The former Manchester United midfielder, who admitted he had endured a sleepless night just hours before his Monday appointment, oversaw a 4-1 win over League Two strugglers Yeovil in his first match in charge at Boundary Park. Jose Baxter and Callum Lang scored in the space of a few minutes either side of half-time to give him the perfect start. But it required two goals in the final two minutes from Mohamed Maouche and Christopher Missilou to ease the nerves after Bevis Mugabi had reduced the deficit. “It’s a relief and I may get some sleep tonight,” said Scholes, who lives just a few minutes’ drive from his boyhood club. “I’m a little bit disappointed with the (Yeovil) goal but pleased with the way they played on a tough pitch. Jose’s goal came at a great time just before half-time and that made us relax a little bit. At 2-0 the hosts looked comfortable but once they conceded, within three minutes of doubling their lead, the game was in the balance until two late, long-range strikes put a gloss on the scoreline. “That’s what I want. I want them to express themselves and enjoy themselves. Fans want entertainment and that’s what we gave them,” added Scholes. Victory lifted Oldham to 11th, six points from the play-off places, with two home matches to come.